Firefly founders (L-R) Kevin Wolfson, Jamie Medeiros, and Tyler Evans. Photo from Firefly Bicycles flickr. When Firefly Bicycles came onto the scene in 2011, the cycling world quickly took notice of their colorful anodizes graphics and clean titanium welds. The three founders, Jamie Medeiros, Tyler Evans, and Kevin Wolfson launched Firefly after jumping ship from Independent Fabrications when the company announced plans to move its operations to New Hampshire. In the years since launching, Firefly has established itself among the upper tiers of custom frame builders. I spoke to Kevin about the company and their frame building philosophies, their backgrounds with I.F. 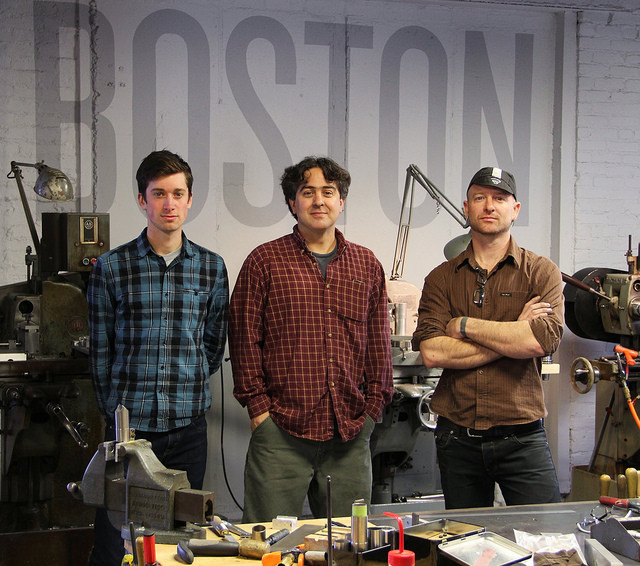 and beyond, American frame building’s deep roots in New England, and more.